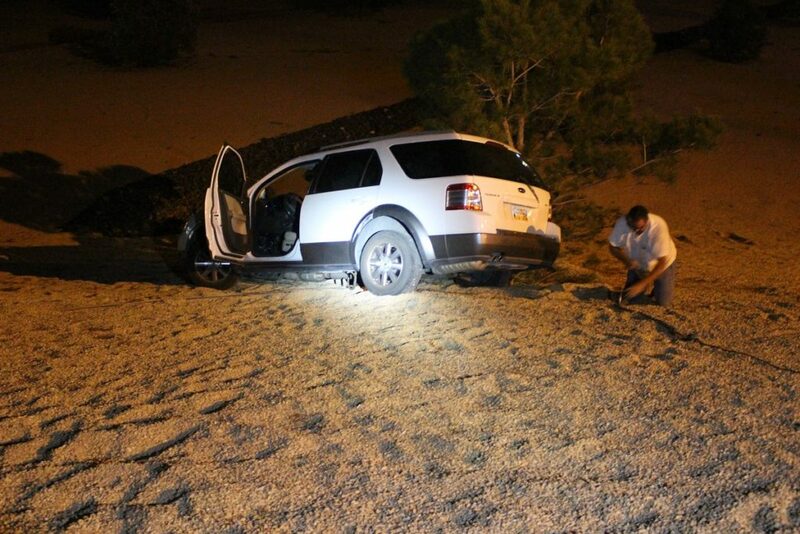 ST. GEORGE — A woman who took her eyes off the road for a moment Wednesday night wound up driving off the interstate and 50 feet down an embankment, narrowly missing two metal poles in the process. 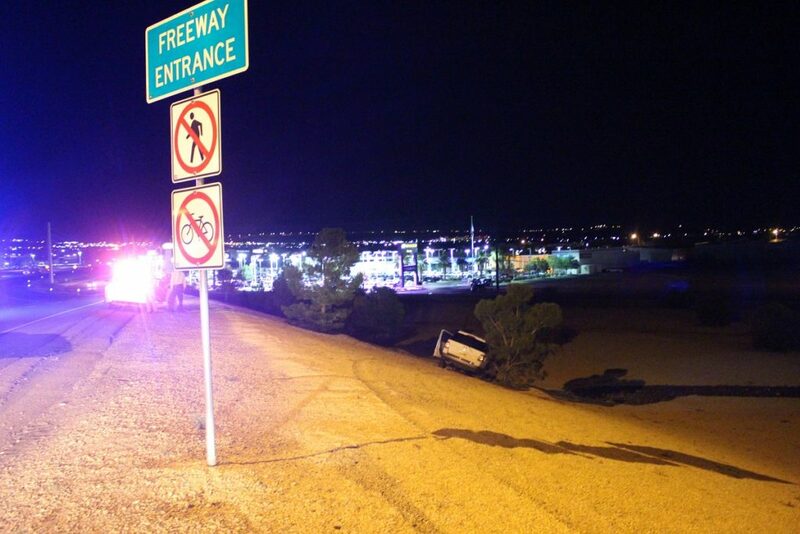 Just after 8 p.m., officers were dispatched to the Bluff Street Exit 6 on-ramp where it connects with Interstate 15 northbound on a reported single vehicle crash, Utah Highway Patrol Trooper Chris Lewis said. As emergency personnel arrived, they found a white Ford SUV far down the embankment, tilting at an angle with the driver still sitting inside the vehicle. Officers approached the car to check on the woman inside, who said she was okay, Lewis said. The driver told officers she was making a left hand turn from Bluff Street onto the northbound on-ramp and took her eyes off the road for a moment during the turn, the trooper said, missing the on-ramp entirely. As she made a turn that was much too wide, she hit the curb to the right of the on-ramp, blowing both passenger side tires, he said. The SUV then traveled in between two metal poles and kept going until flat tires slowed the vehicle to a stop right next to a tree, dozens of feet beyond and below the road she should have been on. 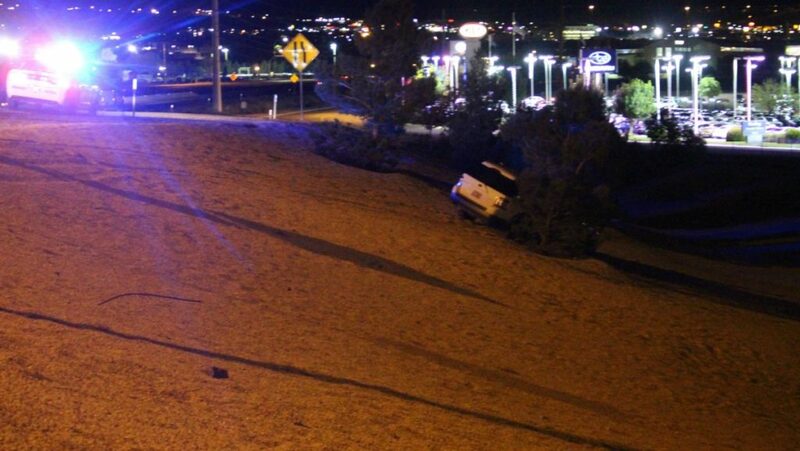 At that point, the woman stayed in the vehicle until officers arrived and were able to help her out of it. Emergency medical crews evaluated her condition at the scene, but she stated she was uninjured in the crash and declined transport to the hospital, Lewis said. The driver was wearing her seat belt, the trooper said, and it appears she made it safely down the embankment by going with the turn instead of trying to turn her steering wheel to the left, or overcorrecting in an effort to bring the vehicle back toward the on-ramp. No citations have been issued at this point, Lewis said, but the crash is still under investigation. 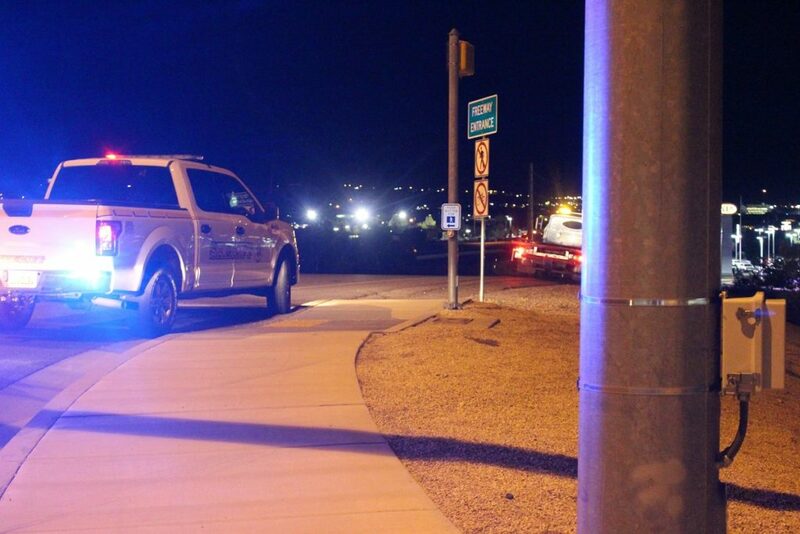 The SUV was rendered inoperable and towed from the scene. Utah Highway Patrol, St. George Police Department, Washington County Sheriffs Department and Gold Cross Ambulance responded and tended to the scene.